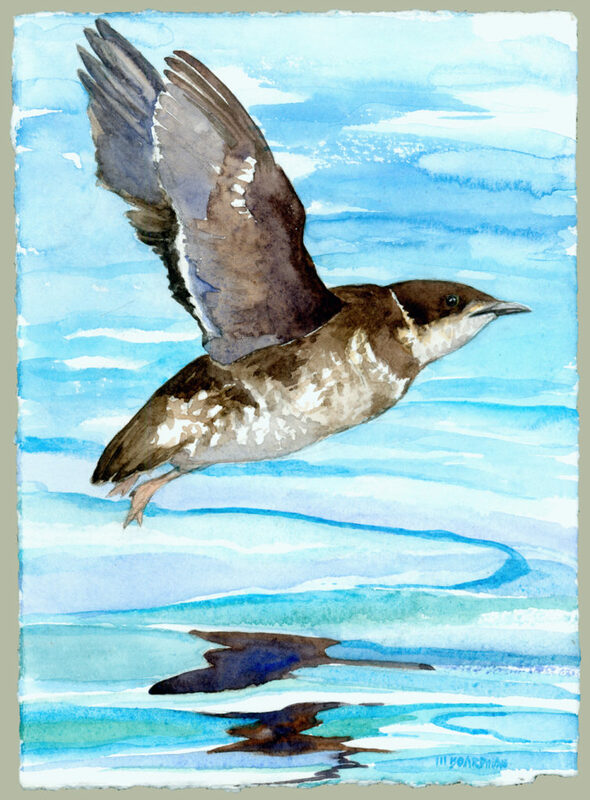 I’d like to introduce you all to my new favorite bird, the marbled murrelet. I had no idea this bird existed before my trip to Glacier Bay. It needs old growth rainforest to nest in, which is 40+ miles away in Juneau. So it flies, several times a day, at speeds of 100 miles an hour, back and forth from Glacier Bay to Juneau, to feed it’s chicks in the nest fish caught in the bay. It’s appearance is that of a unassuming brown torpedo. Why doesn’t glacier bay have old growth rainforest? Because 200 years ago the entire bay was filled with a gigantic glacier, and it’s rapid retreat has created this world heritage site.